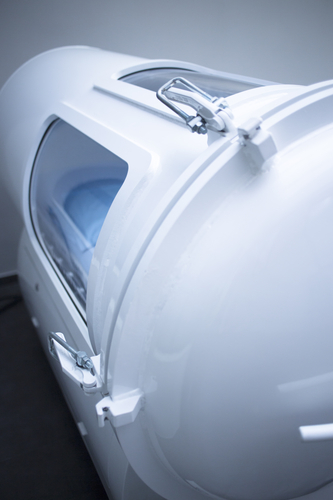 Certain types of wounds call for special care procedures, which is why the hyperbaric chamber used for wound care at Coryell Memorial Healthcare System is advantageous. Located in their Gatesville, TX, facility, this special system can speed the process of healing after distinct types of wounds and delivers tremendous benefits to the patient. Patients with soft tissue infections, bone infections, thermal burns, crush injuries, and certain types of skin grafts may benefit from entering a hyperbaric chamber. The process may also benefit patients suffering from delayed radiation injuries and wounds related to diabetes. The advanced wound care treatment performed in a hyperbaric chamber is also referred to as hyperbaric oxygen therapy. It works by exposing your body to higher oxygen levels than it would usually see, and because oxygen is critical to the healing process, it can speed the remedy process of certain wounds. During the procedure, patients lie in a clear tube filled with pressurized oxygen for a designated amount of time (up to two hours). Throughout the process, patients can speak with their treatment professional at any time, watch TV, or listen to music. It’s common to experience mild discomfort or popping in the ears, but this is completely normal and temporary. Once the therapy session is complete, the chamber is depressurized slowly. Patients may feel slightly lightheaded or tired, but again, these symptoms are temporary. If you have any of the wounds listed above and would like to learn more about the advanced wound care treatments available at Coryell Memorial Healthcare System, call to speak with one of the caring professionals at (254) 865-8251. You can also visit the facility online to learn more about the additional healing and rehabilitation services offered.